City Lights Publishers - City Lights Publishe, 9780872866317, 355pp. 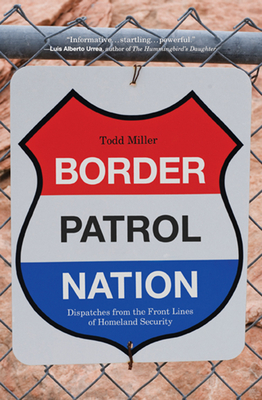 For the past fifteen years, Todd Miller has researched, written about, and worked on immigration and border issues from both sides of the U.S. Mexico divide for organizations such as BorderLinks, Witness for Peace, and NACLA. He did the brunt of this work in Tucson, Arizona and Oaxaca, Mexico, with stints in New York City. Between Tucson and the Buffalo/Niagara Falls region of New York state where he grew up, he has spent the majority of his life close to the U.S. international boundary, south and north. His writings about the border have appeared in the New York Times, TomDispatch, Mother Jones, The Nation, Al Jazeera English, and Salon among other places.